If you follow me on Twitter, you will have seen that last weekend I had the beauty treatment from hell. 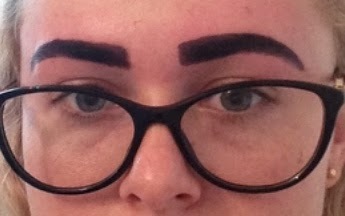 I went to a local salon, for my third visit, to have HD Brows with a different therapist. All she asked was if I like them quite dark, I said yes quite dark, obviously thinking she would use the same colour they’ve recorded for my previous treatments. All she said was, “they go quite dark on you don’t they”. When she showed me in the mirror, I couldn’t believe the state of my brows. I stupidly said “oh, great”. I sat outside in my car and cried. You can’t hide something like your eyebrows. When I got home, I Facetime’d my mum, who told me to go straight back to the salon. Andrew drove me back to the salon. They removed the colour, but I still wasn’t happy with the results, I just wanted to get out of there. HD Brows brand protection team called me, to find out all about the treatment, in order to contact the salon to point out where they had gone wrong and why I wasn’t happy with the treatment, which I thought was brilliant. I asked on Twitter if any of you other bloggers have had a disastrous beauty treatment and it sounds like many of you have, I’d be interested to read any of your posts on these treatments, so please share!! Next Post 50 Random Facts About Me Tag!